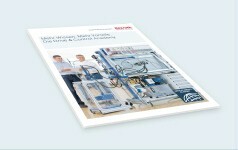 Please get in contact with Rexroth Drive & Control Academy directly. 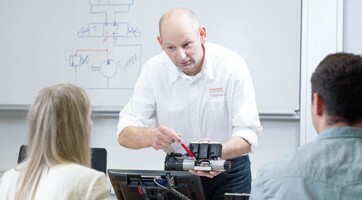 As a leading specialist in drive and control technology, Bosch Rexroth has a unique level of technological expertise, which is used in the development of training courses, training systems and learning tools. We are keen to pass on this knowledge, to apprentices and students and to our specialist staff and employees. At the Drive & Control Academy, we support tailored training, development and qualification of technical specialists. Our training has a practical basis, aimed at specific target groups and based on state of the art teaching methods. Didactic by Rexroth represents a formula for success in the fields of industrial and mobile hydraulics, mechatronics, electric drives and controls, pneumatics, linear systems, machine safety and energy efficiency, with an extensive range of training courses and training systems for basic and advanced technical training and qualifications all over the world. Our teaching tools vary according to the training. A wide range of learning media will provide anyone with the best knowledge transfer. Teaching materials include technical books, manuals, dictionaries, and training software, learning apps, videos and animations that will help you understand any complex concept. 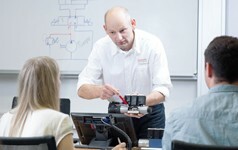 The close supervision of Rexroth professional staff will guide you on the journey in becoming a qualified professional. With the help of multimedia, illustrations, animations and videos that exemplify complex facts and make them quickly understandable. 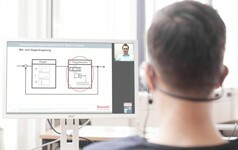 Rexroth's teaching tools are up-to-date and researched based content with case studies, technical papers and practice oriented, online and offline materials.